Alpharetta, GA – February 9, 2018 – Wise, a leader in business forms and document printing, announces recognition received as an Award Winner of the 2018 Best of Print & Digital® program. 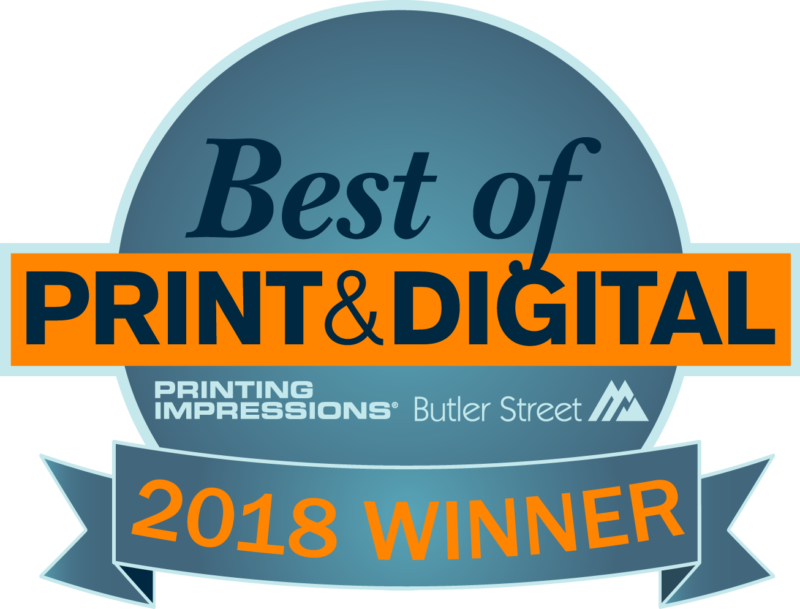 The Best of Print & Digital® is an annual program that identifies which companies have provided the highest service delivery to their customers over the last year through independent survey research performed by Butler Street Research for the print and digital industry. Only the very top companies in the industry were able to achieve this distinction, and Wise is honored to receive this award for the third consecutive year. “We are extremely excited to win the Best of Print and Digital designation for the third year in a row. Wise scored among the very best of companies that participated in the survey. It is a testament to all the Wise associates that go above and beyond what’s expected of them to delight our customers every day”, says Jeff Prettyman, Executive Vice President. Wise is a leading trade manufacturer providing business forms and checks for resale only. Its core business is primarily focused on relationships with independent print distributors, commercial printers, and other printers, tailoring its offerings to meet their unique needs. Wise is a supplier of a full range of printed products and services from individual short to medium-run orders to large multi-year print management contracts. Founded in 1969. Wise has five regional production facilities – Georgia, Indiana, Maine, Pennsylvania, and South Carolina – serving the eastern half of the U.S.
Butler Street, a leading provider of client loyalty research and retention programs across the print industry, in conjunction with NAPCO Media, Printing Impressions and Print+Promo, launched the Best of Print & Digital Program® to recognize those companies with the highest customer loyalty in the industry. Butler Street specializes in helping companies and their people grow and delivers lasting results in the two most challenging areas that companies face: client development and talent development.